In a speech to MPs before the vote, Tsipras said a vote of confidence in his government amounted to a vote for “stability.” “I took the risk showing political courage because what we have ahead of us demands clear solutions,” he said. However, Tsipras cited a note verbale issued by the Former Yugoslav Republic of Macedonia yesterday which provided further assurances with regard to Greek concerns over the name accord. Tsipras said the note reaffirms that the term “nationality” refers exclusively to nationality and does not designate or predetermine the ethnicity of FYROM’s people. Moreover, it also groups Macedonian in the Slavic group of languages. The outlook for a vote on the Prespes deal between Greece and FYROM, which is expected in the coming days, was unclear. Centrist To Potami leader Stavros Theodorakis did not confirm whether his party would support the pact as it had initially pledged to do. He simply declared that a vote of confidence in the government was tantamount to support for the Prespes deal but contended that the opposite does not apply. “A positive vote for the Prespes deal does not mean a vote of confidence in the government,” he said. The outcome of the Prespes vote is largely dependent on how Potami will vote. Tsipras can count on up to 149 votes at the moment – from the 145 SYRIZA MPs, Deputy Citizens’ Protection Minister Katerina Papacosta, who is an independent MP, Spyros Danellis, an independent who was thrown out of Potami, Independent Greeks MP Thanasis Papachristopoulos and Tourism Minister Elena Kountoura. 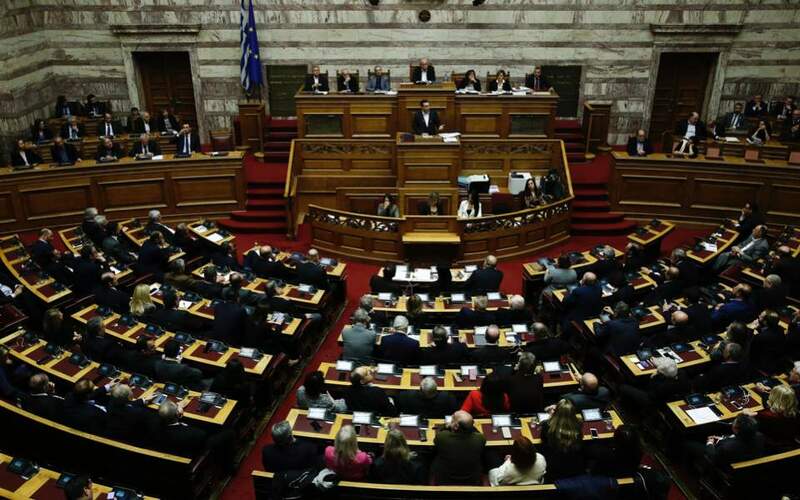 However, his position is complicated by the fact that two of his MPs – Giorgos Amyras and Grigoris Psarianos – are not only threatening to vote down the deal but also to quit if the party leadership insists on supporting the Prespes deal. If they do quit, the party would be left with three MPs, below the minimum of five required for representation in Parliament. The party’s political council is to meet today to decide on its position. The stance of Democratic Left (DIMAR) leader Thanasis Theoharopoulos could also be pivotal. He had also expressed a positive view of the deal in principle but is expected to take a final decision when party officials convene on Sunday. Government spokesman Dimitris Tzanakopoulos said the administration’s aim was to secure 151 votes, though he added that technically this is not necessary. Authorities are bracing for a rally on Sunday against the Prespes agreement in Athens as protests last year drew large crowds. There are concerns about possible violence as tensions have peaked ahead of the Prespes deal vote. Police in northern Greece arrested four people, two in Grevena and two in Kozani, over the past two days for sticking up “wanted” posters of politicians who have expressed support for the agreement. Another six people were detained in Serres after being found with such posters in their possession. The arrests follow reports of politicians receiving threats warning them not to support the deal. A 62-year-old former navy officer was arrested earlier this week after allegedly admitting to sending threats to Papacosta.